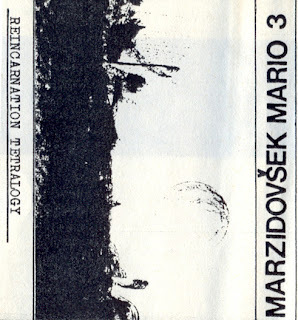 Rare tape from Slovenian noise experimental pioneer, artist Mario Marzidovsek. Self released by Marzidovsek Minimal Laboratorium MML 003. Could not find any more info. Anyone is welcome to tell little bit more about Mario projects. You can find another release by him posted by dualtrack. Thanx! Hello thank you for this record and all I have little interest in general this type of music, so much is that estare Here visitandote. With your permission your blog added to the list of favorite blogs Planeta Musical. And on the disk-Mirandote Maria Salgado. Attempts to find it. I need some time alone. Congratulations on your blog. A hug from musical planet.